Why does Vimy matter? 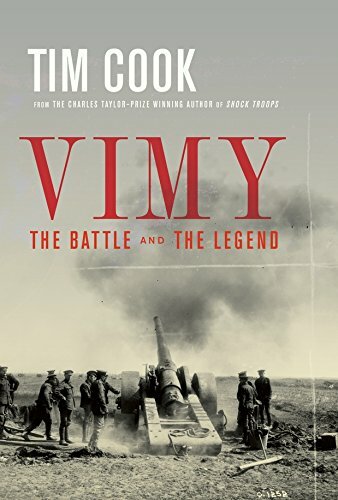 Tim Cook, Canada’s foremost military historian and a Charles Taylor Prize winner, examines the battle of Vimy Ridge in April 1917 and the way the memory of it has evolved over 100 years. Vimy is unlike any other battle in Canadian history: it has been described as the “birth of the nation.” But the meaning of that phrase has never been explored, nor has any writer explained why the battle continues to resonate with Canadians. The Vimy battle that began April 9, 1917, was the first time the four divisions of the Canadian Expeditionary Force fought together. 10,600 men were killed or injured over four days–twice the casualty rate of the Dieppe Raid in August 1942. Lieutenant John H. Stubbs, who is using a sextant, on the bridge of the destroyer H.M.C.S. ASSINIBOINE off Halifax, Nova Scotia, Canada, September 1940.